Ashland, Oregon, is about an hour drive from the Cascade-Siskiyou Monument and marked an important juncture in Cheryl Strayed’s Wild adventure. Outside the Ashland Food Co-op a Swiss woman rubbed Cheryl’s feet and remarked, “Your feet, they are very strong. Like those of an animal. I can feel their strength in my palms… In Switzerland we have great respect for those who travel the pilgrim way.” Somehow, this woman sensed that Cheryl’s walk, like so many others, was an emotional as well as physical journey. It was during Cheryl’s Ashland-based hiatus from the PCT that she began to forgive herself; she started to see her life and her actions through a different lens. 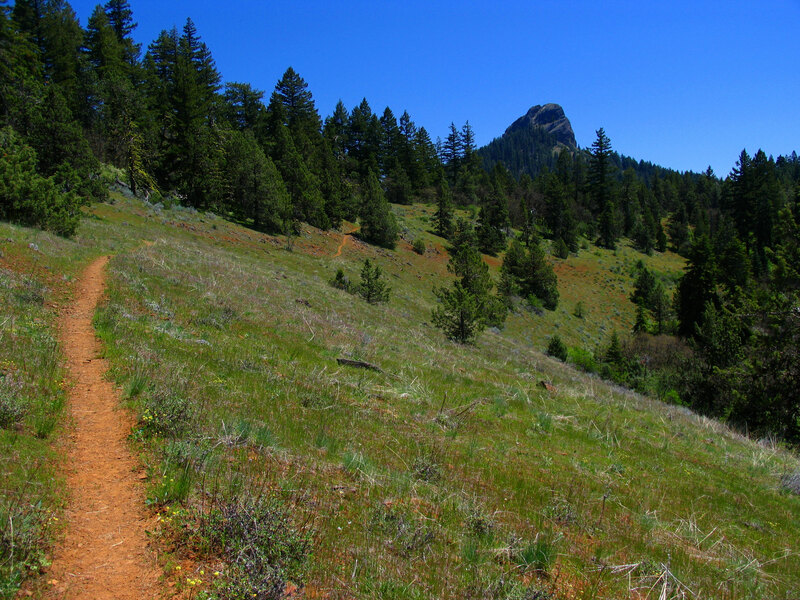 Established in 2000, Cascade-Siskiyou National Monument is the nation’s first monument designated in recognition of an area’s biological diversity. A tremendous variety of plants and animals make their homes amidst the monument’s rich fir forests, oak groves, grasslands, and canyons. Pristine streams flow through the monument and are home to trout found nowhere else. Lush meadows teem with an assortment of butterflies nearly unsurpassed in the United States. The monument is also a bird haven as more than 200 species have been documented here, including the northern spotted owl, the great gray owl and the peregrine falcon. 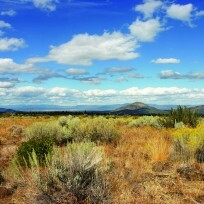 To appreciate the outstanding biodiversity as well as exceptional geologic complexity that characterize this landscape, look east to the high deserts of the Great Basin, north and south to the Cascades and west to the Siskiyou and Klamath Mountains. Influences from each of these regions converge in the 53,000-acre monument, giving it its multilayered biological composition. The PCT enters the southwestern corner of the monument near Interstate 5 and Pilot Rock. It then meanders through the monument, passing Soda Mountain before it departs at a crossing of Highway 66 at Green Springs Summit. 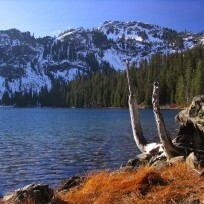 The trail then reenters the monument briefly as it skirts the eastern shores of Hyatt Lake. 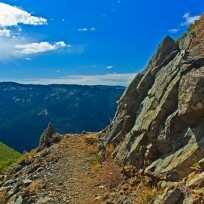 As the PCT meanders in and out of the Cascade-Siskiyou National Monument, it passes the monument’s most famous geologic structure, the basalt outcrop called Pilot Rock. Pilot Rock was given its name during the time of the Euro-American pioneers because it served as guide for travelers crossing Siskiyou Pass between Oregon and California. At an elevation of 5,908 feet, Pilot Rock is a volcanic plug, a remnant of a feeder vent left behind after its surrounding volcano eroded away. 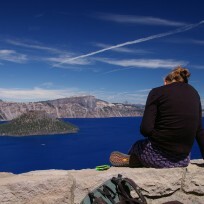 From the PCT, it’s worth a side trip to ascend to the craggy Pilot Rock viewpoint. Just follow the obvious side trail that leads less than one half-mile to the base of the rock. From there, you’ll see a chute to the top, which affords a captivating view of the monument’s undulating patchwork of peaks, valleys, and forests. Be aware that, although it’s a scramble and not a technical climb, the hike up Pilot Rock can be dangerous for the inexperienced. Additionally, seasonal closures to protect peregrine falcons are sometimes necessary. Distance: out-and-back, 12 miles to Pilot Rock. Trailhead driving directions: The easiest place to access the PCT in the monument is at Green Springs Summit. From I-5, take exit 14 near Ashland and turn on Highway 66 toward Klamath Falls. Take Hwy 66 for 17 miles to Green Springs Summit. 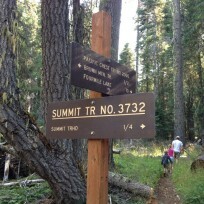 A trailhead and parking area are located at the summit. From there, follow the PCT 6 miles north to Hyatt Reservoir or south to Soda Mountain, Hobart Bluff, and Pilot Rock (12 miles). 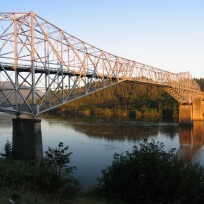 Campfires are allowed in areas where dispersed camping is permitted, as long as they are consistent with Oregon state regulations. Fires are often prohibited during the dry season. Scattered parcels of private land are interspersed with monument lands, and at times the PCT passes through private lands with permission of the land owners. 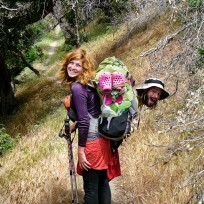 Please stay on the trail when passing through private land.